WOODLAND FOREST FIREPLACE SCREEN by Accent Plus home decor, jewelry, decor, decorations, electronics, fountains, floor mats, art glass, vases, garden essentials, fireplace screens. 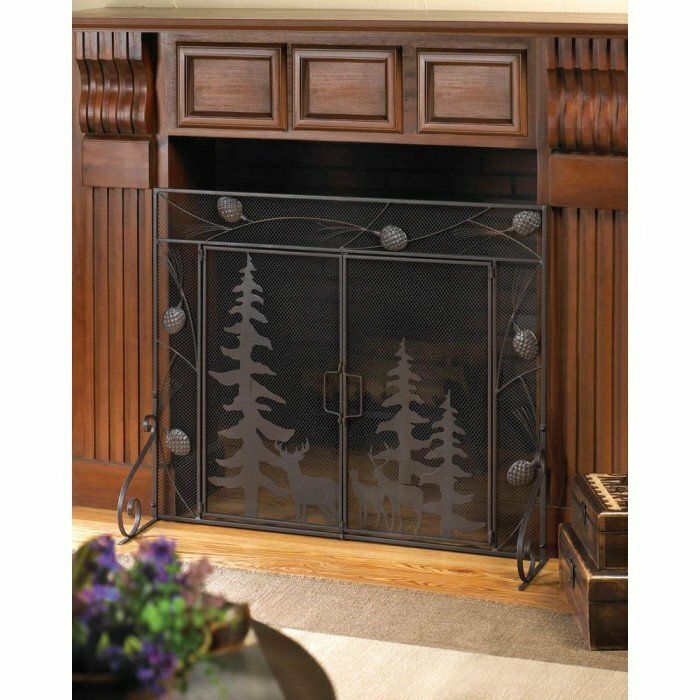 A wonderful woodland scene is yours to enjoy every day when you place this gorgeous iron screen in front of your fireplace. Detailed pine cones surround the outer trim, while the interior panels feature silhouettes of evergreens and forest creatures. Its the perfect way to frame the flickering flames inside your fireplace! Material(s): IRON METAL - SHEET METAL - MESH SHEET METAL, MESH METAL. Weight 10.2 pounds. Dimensions 38" x 4.5" x 31.2".